An urban kitchen is the one with different textures and designs that is totally up to date and chic. 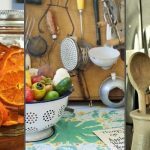 It is basically a unique combination of many styles, like industrial, modern, minimal, rustic, etc. It gives you an edge to style it in any way you want! It usually has a very aesthetic look and feel to itself. You can try something like brick walls, wooden beams, and metal furniture. 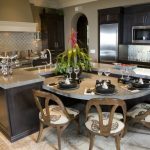 There are a lot of people who like to add stone and marble to their kitchen as well. The lighting ought to be bright and you should try to choose the colors that are earthy and neutral. Focus more on the details and the geometrical and abstract patterns. 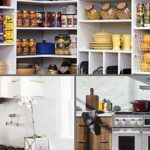 If these features appeal you, then here are some tips that will help you turn your kitchen in a perfect urbanized space! No kitchen is complete without significant touches of wood! There are many options for incorporating wood into your kitchen. You can start by having a dark colored wooden floor. It is always better to have a wooden floor that is dark and have a rough look to it. 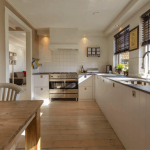 Another option for adding wood to your kitchen is to have wooden cabinets! You can install dark, rustic wooden cabinets all over your kitchen and have wooden or metal handles to it. Countertops can add detail to any space! 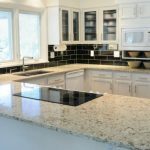 To make your kitchen look urbanized, you can add granite or marble countertops. Go for the colors of your choice, be it light or dark hues of brown, black, or grey. You can also try light or neutral colored counter tops if you think grey or black is too dark for you. Moving to the little details, you can add glass or metal over the counter top or Kitchen Island to give it an amazing finishing touch. If you want something more contemporary, you can also have a glass or metal island in the middle of the kitchen to add more of an industrial touch to the space. To keep the theme going, you can add steel legged stools by the island. You can get metal, wooden or even old rustic stools! Make sure that whatever you choose is comfortable! If you have enough space in your kitchen, then you can also set a small breakfast table. You can have it custom made and even have it shaped like a bench style. There is a vast variety of wooden furniture options out there that you can choose from. 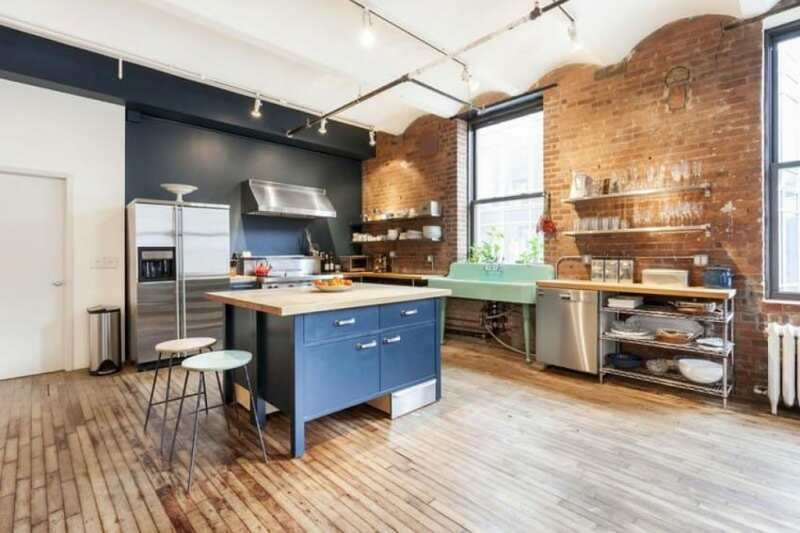 Urban kitchens have a lot of open space. Since it is a mixture of minimal and industrial style, so open space is an essential trait of these kitchens. The space should be vast, and the ceilings must be high. It ought to have an airy atmosphere so that it gives more of a westernized touch. Urbanized kitchen means something made up of exposed bricks, concrete walls, or just bare walls. People don’t decorate the walls much, and they prefer to keep them rough and in neutral tones. A lot of people also use chalkboards to cover the walls to have more of an industrial and rough look. Candles have a very soothing effect on the brain; therefore, it is a great idea to put candles in the kitchen. They will not just add a contemporary touch to your kitchen but will also add the required warmth to it. You can try some incredible espresso scented candles to make your kitchen look more beautiful than ever.